To me it looks like these to guys are admiring each others hats. 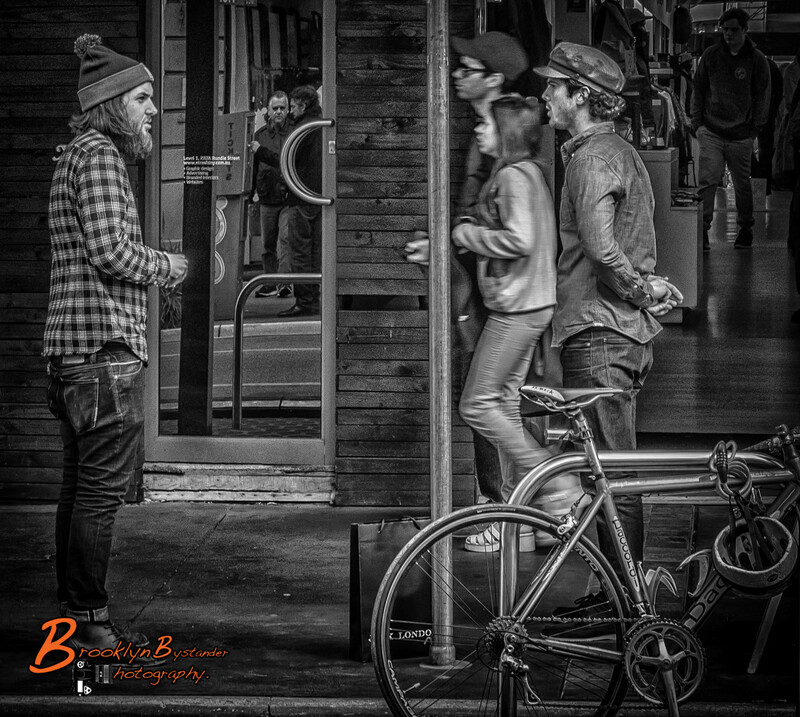 This entry was posted in Photography and tagged Adelaide, Adelaide South Australia, Adelaide Street Photography, black & white, Lightroom, Photography, Rundle Street, Silver FX Pro, Street Photography. Bookmark the permalink. It looks to me like they are both eyeing the bag that was left on the sidewalk….each waiting for the other to make the first move. 🙂 Great shot, as always!!! 😀 Adelaide is on my bucket list for sure now. Yes like a face off who will make the first move ! Wow Michael, this photo is awesome!!! Thank you I really do appreciate it, I think the post processing is sometimes my favorite part. It is a ‘who has the best hat’ Mexican stand-off. My hat is off to you. A nicely done shot. This is my hometown! I’m biased so I have to say they are discussing the trendy new bar that just opened or something… Nothing sinister! Amazing work.